Do you want to be part of an exciting growing company? Join us and put your talents to work! At AnDek Staffing Services, our team seeks team members who possess qualities like integrity, a strong work ethic, and an unending drive for success. In return, AnDek Staffing Services offers staff development, advancement opportunities and excellent benefits. AnDek Staffing Services is an equal opportunity employer. To find out more about joining the AnDek team, visit the list of current open positions. Do you like working with people? Do you like helping people achieve their goals? Can you start a conversation with anyone? If you do, then a career in the Staffing Industry is for you? We are currently seeking energetic people to join our Austin, Texas recruiting team. As a recruiter, you will be partner with companies to find the best employees and build your candidate network. At AnDek, customized solutions provide our clients with the right combination of talent and expertise to achieve their business objectives. Sourcing qualified candidates according to relevant job criteria, using computer database, networking, Internet recruiting resources, cold calls, media and employee referrals. Present well qualified applicants to Corporate recruiters and hiring managers ensuring client satisfaction. Interview applicants to obtain information on work history, training, education and job skills. Must be highly motivated, possess a great attitude and demonstrate success. We are currently seeking energetic people to join our Orange County recruiting team. As a recruiter, you will be partner with companies to find the best employees and build your candidate network. At AnDek, customized solutions provide our clients with the right combination of talent and expertise to achieve their business objectives. Do you want to work for a growing entrepreneurial staffing company? Do you have experience selling in the staffing industry? 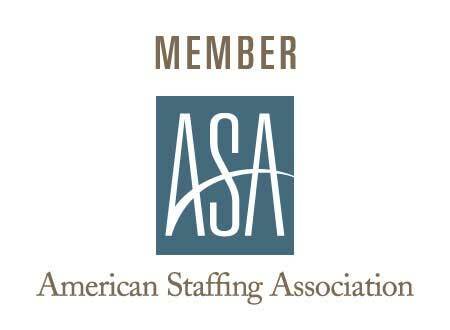 AnDek Staffing Services is currently looking for an Account Manager for our Lake Forest office. This is a wonderful opportunity to start at the ground floor of a quickly growing company. You will be responsible for developing and maintaining partnerships with new and existing clients to ensure their satisfaction and loyalty by representing AnDek’s Staffing services on a continuous basis while maintaining profitability. If you are results oriented, self-confident and demonstrate a high sense of urgency and integrity, then this is the perfect job for you! Do you want to work for a growing entrepreneurial staffing company? Do you have experience selling in the staffing industry? AnDek Staffing Services is currently looking for an Account Manager for our Orange office. This is a wonderful opportunity to start at the ground floor of a quickly growing company. Do you want to work for a growing entrepreneurial staffing company? Do you have experience selling in the staffing industry? AnDek Staffing Services is currently looking for an Account Manager for our Round Rock Texas office. This is a wonderful opportunity to start at the ground floor of a quickly growing company. Interested? Submit your information today!